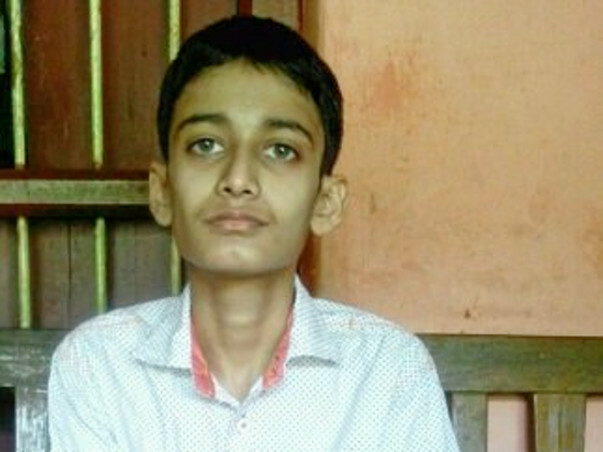 Thejeshwar is a 18 year old boy who has been diagnosed with a tumour. 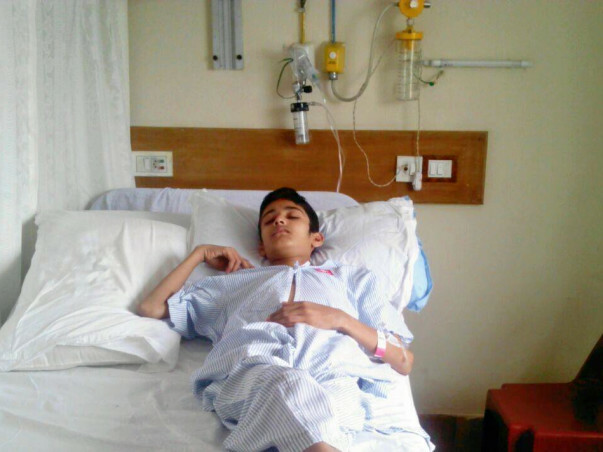 He needs to be urgently operated, to remove the tumor from his body. The more the delay. the larger the tumor becomes. It all started with chest pain and weakness back in July 2016 and was diagnosed to have a tumour present. He had not attended college in July 2016 even for a week before the symptoms appeared. He had a cough which was painful. Thejeshwar would clutch his chest and cough so bad that sometimes he would throw up. He became so weak that we went back to the doctor. He was diagnosed to have a tumor in his chest, this time near his heart. A major surgery was performed and excision was done on 26.8.16. 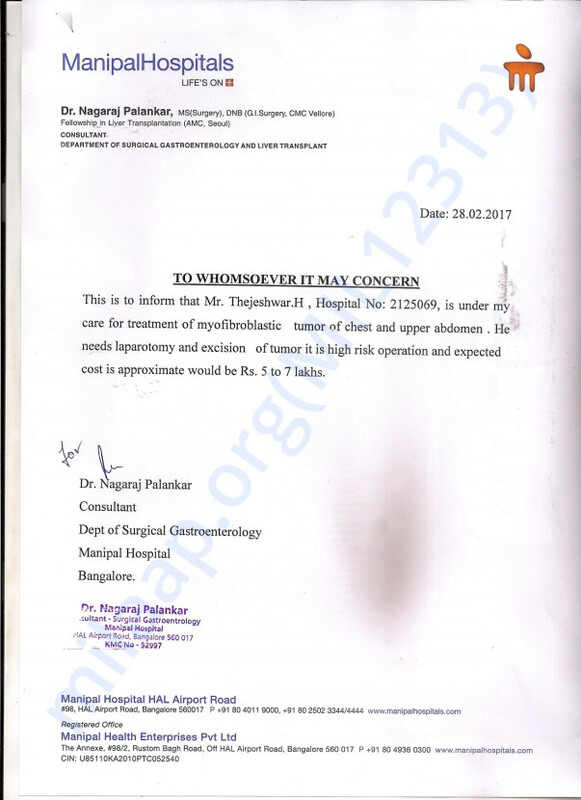 However, the tumor was not completely removed and a Laparotomy and Excision of the tumor has been advised by Dr. Nagaraj Palankar. Tucked away in a small corner of Mangalore, Thejeshwar lives in a big joint family with parents, two sisters, aunts, uncles, and cousins. Harish Kumar- the father is a daily wage worker and earns around Rs 3000/- a month. 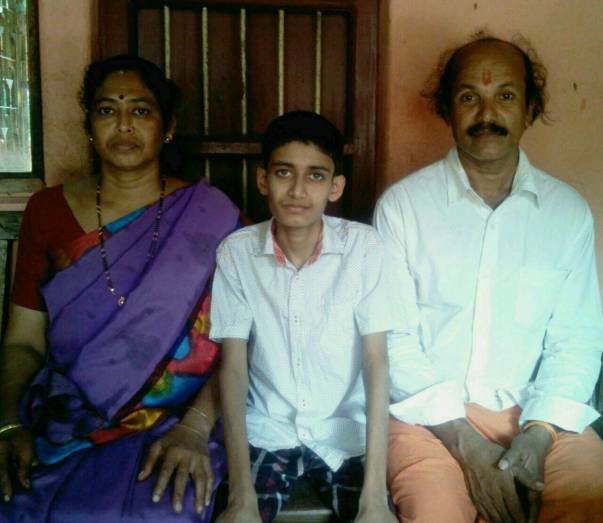 Thejeshwar's parents pooled in Rs. 50,000 for the last surgery and a lot of people helped them including an agency into social service. This time, they have friends and relatives who can together help us pool in Rs. 1 Lakh. The rest of the funds, they do not know how to arrange. 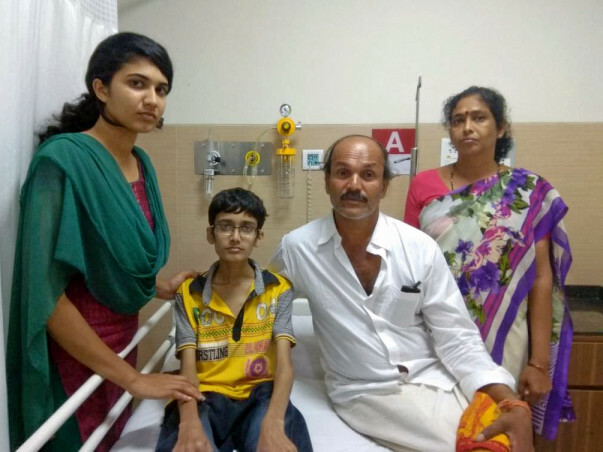 Please support Thejeshwar's campaign and save his life. Thank you so much for the support you have shown towards my brother Thejeshwar. 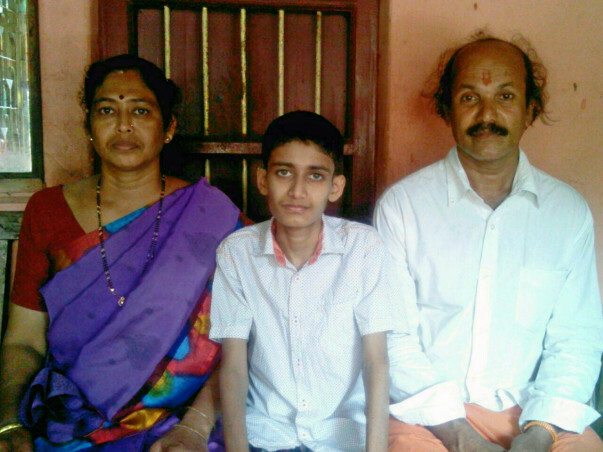 We recently visited the hospital and came to know that Thejeshwar is not fit for the surgery. We had no option but to bring him home and continue his treatment with ayurvedic medicine. 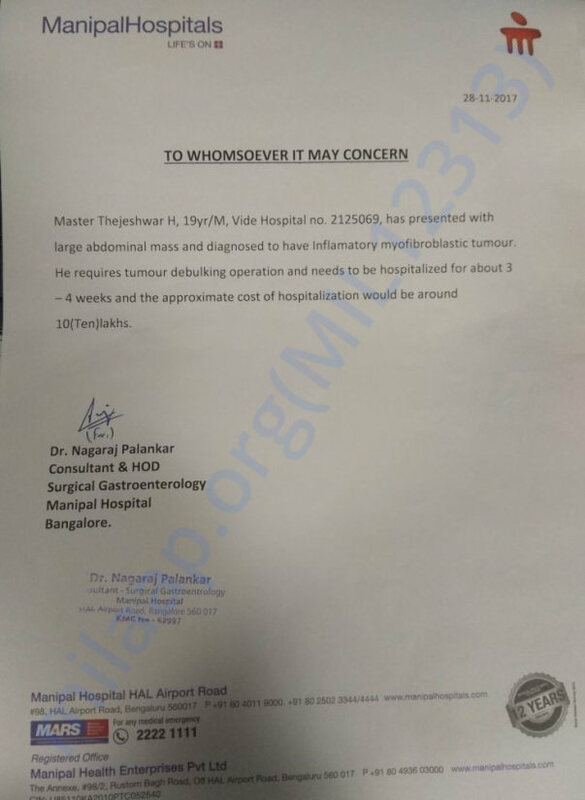 His bills at Manipal have been cleared but we are running short of funds to pay for his ayurvedic treatment. Post clearing the bills there was still some amount pending on the campaign so we would like to utilise that towards his ayurvedic treatment as he will require this treatment in the future as well. This ayurvedic treatment helps relieve some of his pain and he is also able to walk more because of it. Thank you once again for all the support you have shown towards Thejeshwar.